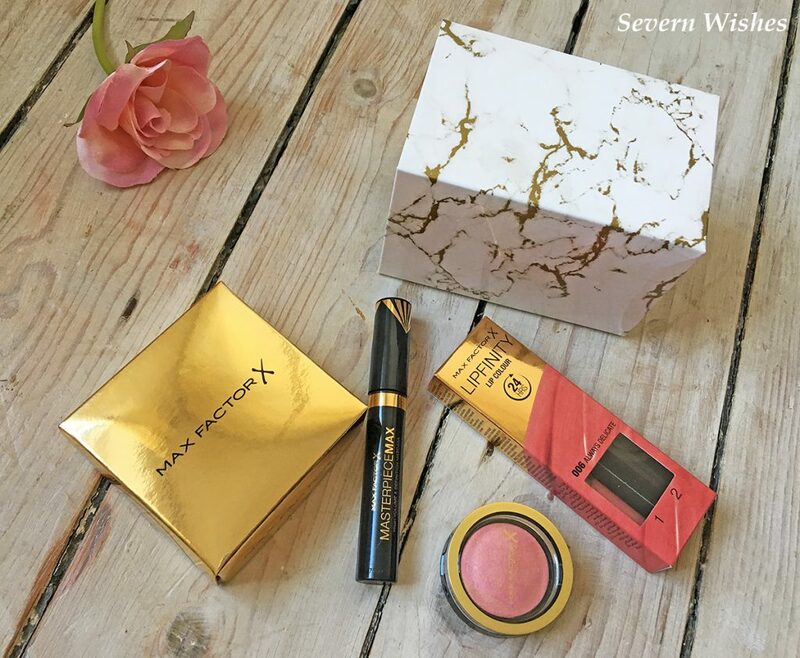 How awesome was this free gift from Max Factor when you spent £15 or more on selected Max Factor makeup products, it began back in March this year. I did put my opinion on to Instagram about it when I first unboxed it at the end of March, but I thought it was about time that I showed you some more detailed photos and review the items individually. 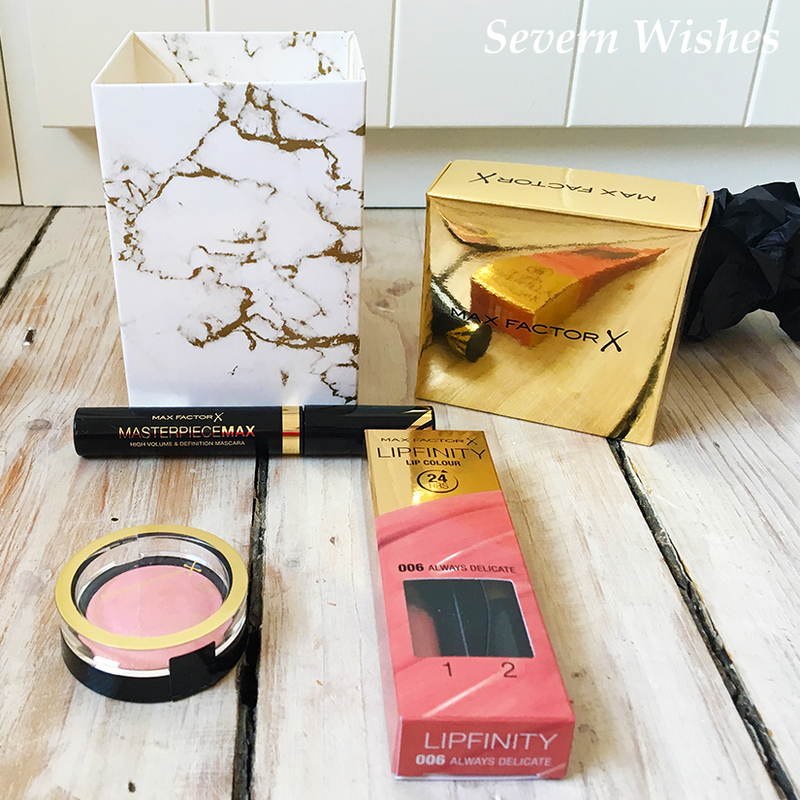 Inside the box there is a Lipfinity Lip Colour, a Masterpiece Max Mascara and a pretty pink Blush. Neatly presented in a beautiful marble box complete with gold lid. 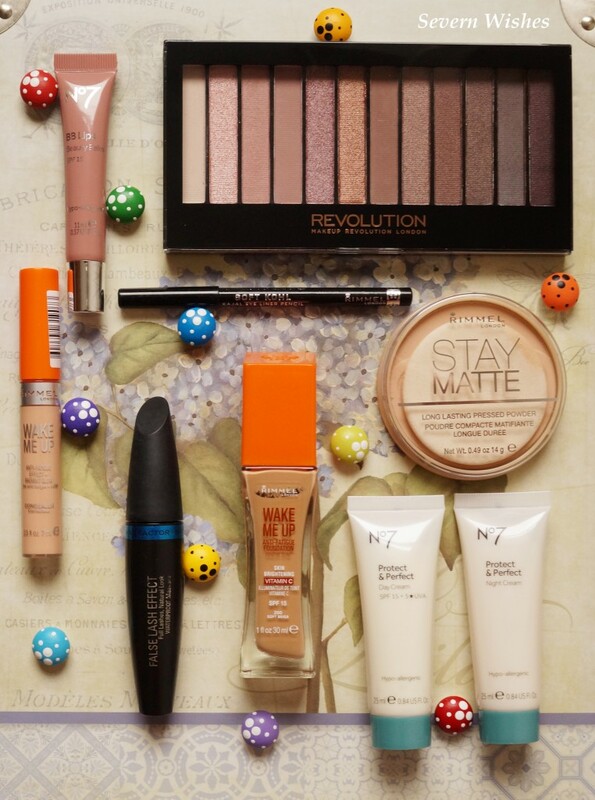 You get this gorgeous marble print box and all this makeup free in this promotion! I love the mascara and think of it as the original one that Max Factor used to use in its model advertisements when I was growing up. I already have another shade of the lipstick of the type supplied which is Lipfinity, it has good staying power when applied correctly. The colour is a really nice shade of pink, 006 Always Delicate is the name. The blush is a lovely pink looking colour and is ideal for Spring looks. Over all it is a fabulous Spring set, and with a beautiful box that can be reused again and again too for a variety of uses. 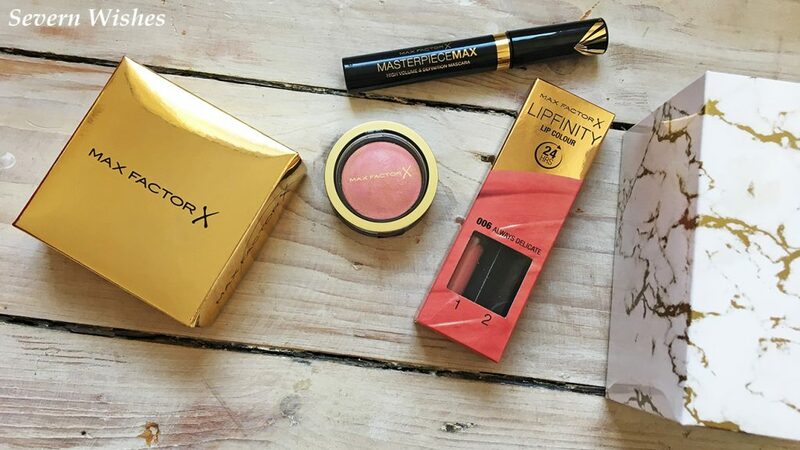 Thanks Boots and Max Factor for the collaboration I’ve loved receiving these products! My overall review on this free gift set is 5/5! I loved that you could create a makeup look purely from the contents of the box. 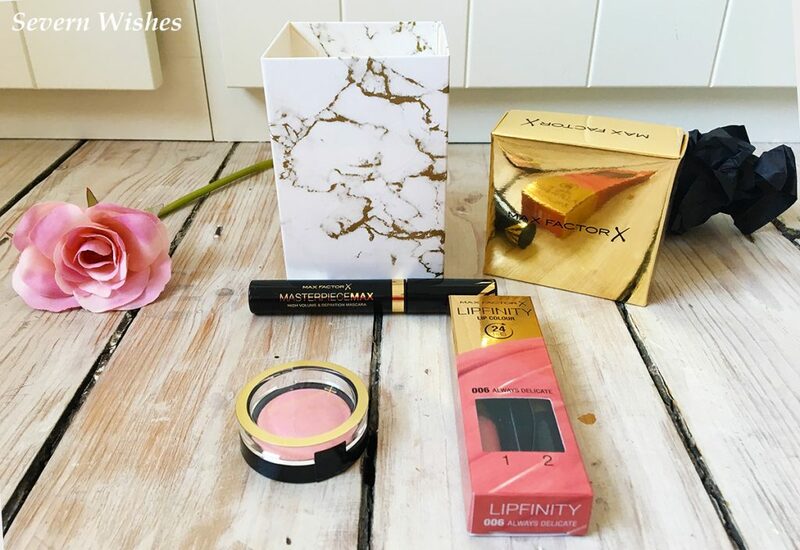 You can make a look that is both natural looking but with a fresh Spring vibe, that is complimented with the other Max Factor products you could have purchased in order to get this free box in the first place. 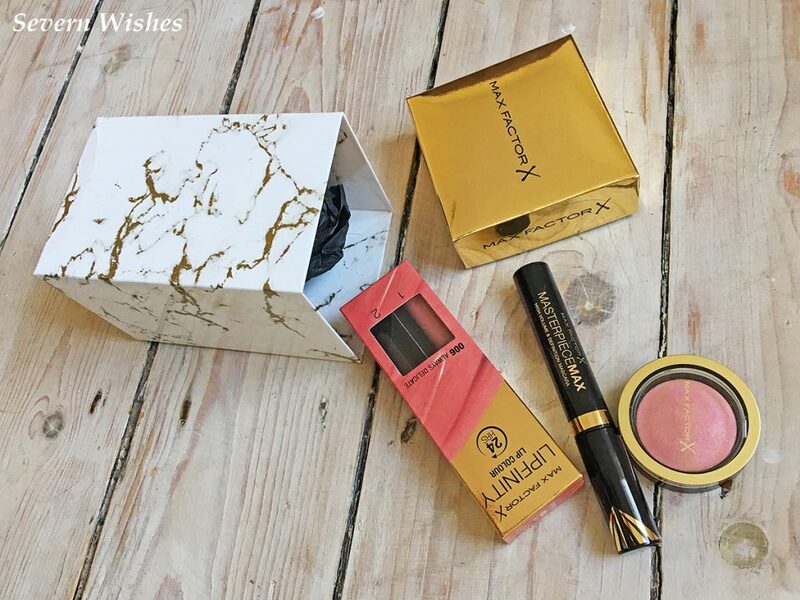 The items that I purchased in order to get this free gift set were an Eyeshadow Palette which was the Max Factor Smokey Eye Drama Kit – Lavish Onyx and the Max Factor Marble Collection False Lash Effect Velvet Volume Mascara in Black. I rate the Eyeshadow Kit I got as a 5/5 because of the variety in colours, I felt that they would suit my eye colour. 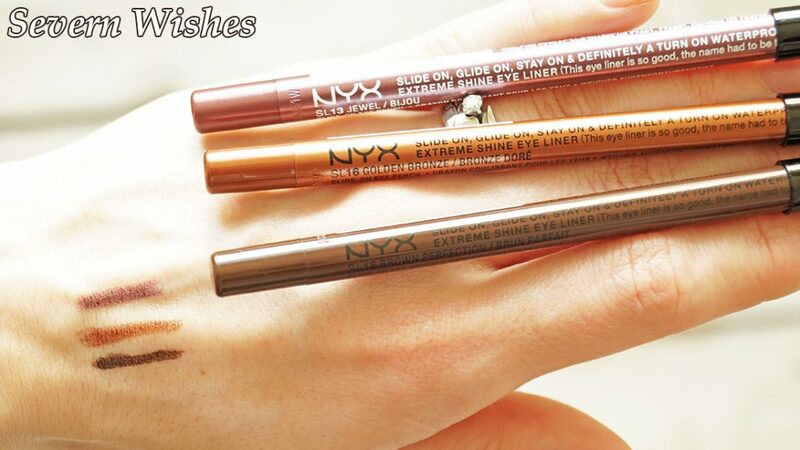 I found they are both easy to blend and also have decent staying power without the need for much touching up. The Velvet Volume Mascara is an excellent product, it is really jet black, but I wasn’t overly keen on the size of the brush for my shape of eyes, I give this item a 4/5. Thank you very much for reading this review today, I hope you have enjoyed it, and I know that some of the Marble Effect items are still available in some Boots stores and online. I will supply a link at the end of my blog post for anyone who is interested. 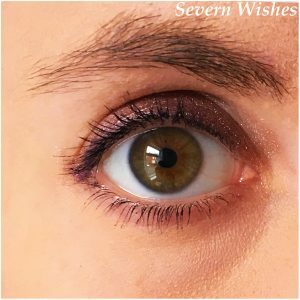 I got recommended to try these eye liners by my makeup artist friend Megan (I will leave her link at the end of the post). We went shopping as I was looking to replace my current brand which I find I have grown out of. When I used the testers in my local Boots store there were many colours that stood out to me. I have Hazel Eyes and love to do a range of looks dependent on my mood and outfit. Usually smokey eyes or complementary browns and golds for me. I eventually chose these three shades to purchase. SL13, SL15 and SL16. “Slide On, Glide On, Stay On, Definitely a turn on Waterproof”. 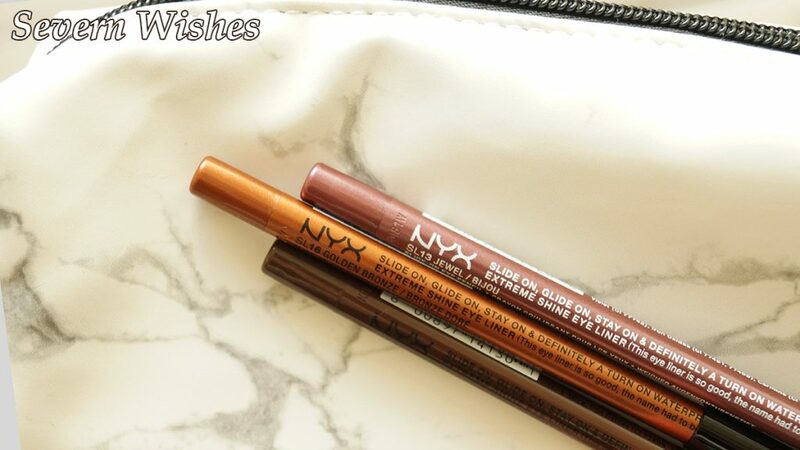 So what NYX were telling us was that these liners stay on very well… I think this was the understatement of the year! I used one of the liners to create the look in my next photograph. After wearing it for eleven hours, I then removed my makeup with my Garnier Micellar Water on cotton wool pads, then I washed my face with warm water. However when I looked in the mirror I could still see the glitter and some of the colour from the liner. So then I used my Sephora makeup remover and washed my face again. I could still see a faint line and some more glitter. The staying power was wonderful, I know that I could create a look and with confidence it would last all day long. For the above look I used a Maxfactor Mascara, a Maxfactor eyeshadow and of course the NYX eye liner which was Jewel (SL13). These liners only cost £2.50 each at most stores, and with currently eighteen colours to choose from, what are you waiting for! If you want staying power then these are the liners for you. I haven’t been this impressed by an eye liner in a long while. They definitely slide on and stay on, and that is all that most of us want in a product, right? Congrats NYX! It’s a unanimous 5/5 from Severn Wishes! Thank you for reading this review, I hope you have enjoyed it. Until next time! I’m a big believer in keeping things tidy and organised. So when I had a major clear out of lots of old makeup and products at the start of this year I knew I needed to get things tidied. I wanted to purchase some clever storage items for the products I was keeping and use on a regular basis. The purchase I made was this organiser and I’m very happy with it. 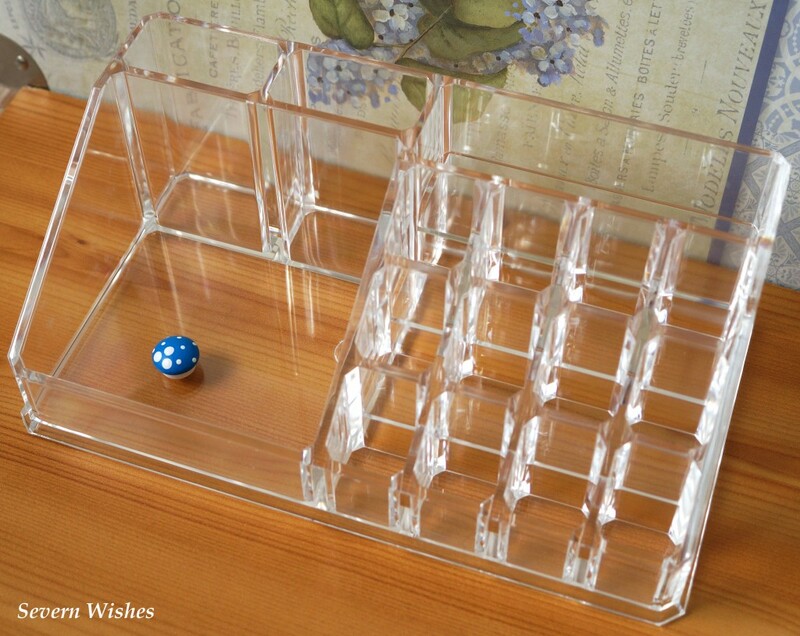 I’m reviewing this plastic makeup storage piece because I think lots of people out there might be interested to know how much these things hold. 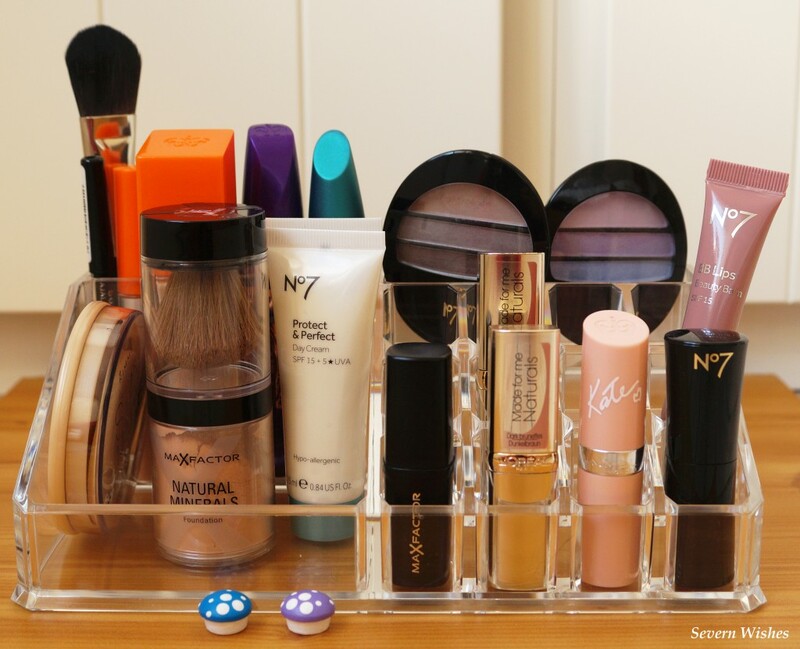 As you can see in my photographs I’ve only put the products I use often in the unit, and there’s still a ton of space. 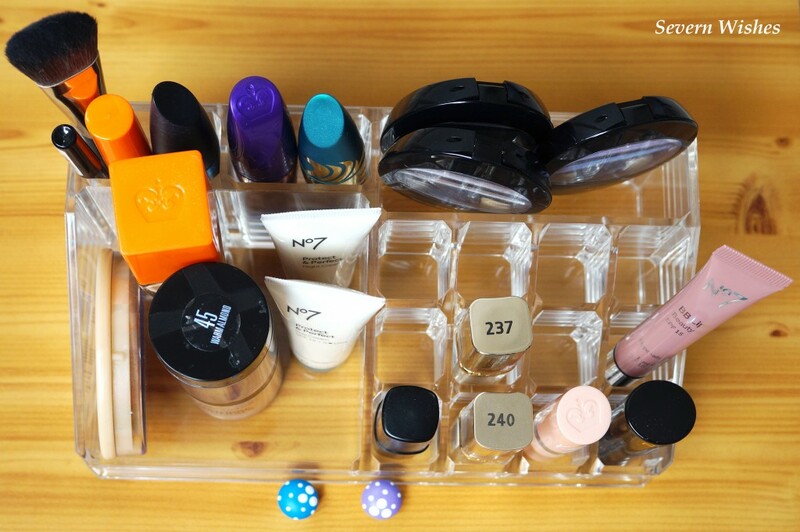 This organiser is great if you own a lot of lipsticks, there are 12 spaces for them. A large square section on the left ideal for flat based items and two taller slots at the back of that. Finally a slot at the back on the right which I have used for eyeshadow palettes but it’s a very versatile space. Overall I’m pleased with this purchase. It’s made my daily routine easier by having the products I use on show and easily removable. You can get a variety of items to fit, providing they are a standard size. As you can see in the picture below I have managed to fit square and round based lipsticks on the right. Nail Varnishes sadly don’t fit in the lipstick sections for anyone who wondered. Despite this I still have plenty of room for all my other types of daily products, and the organiser sits flush on my bedroom unit, keeping everything tidy. I only wish the back right part was a little deeper (look at the No7 eyeshadow palettes) so I could fit more in. Thanks so much for reading this review. You can find these type of organisers in TKMaxx Homesense and on Amazon. Women often get asked what their daily routine consists of, so today I have arranged and photographed the contents of my makeup bag for you beauty enthusiasts to have a nose at! All of the products that I use on an almost daily basis are outlined below. I am going to explain why it is that I use these items and what my honest opinion about them is. I received this little BB Balm in a set at Christmastime and I was surprised what a lovely shade of pink it turned out to be. I wear this if I want a little bit of colour on my lips but I don’t want to wear a full on lipstick. It’s ideal for shopping and work, a subtle shade and it will protect lips from the sun. I hope the next time I get a No7 gift set there will be one of these inside. This is by far one of my favourite palettes. 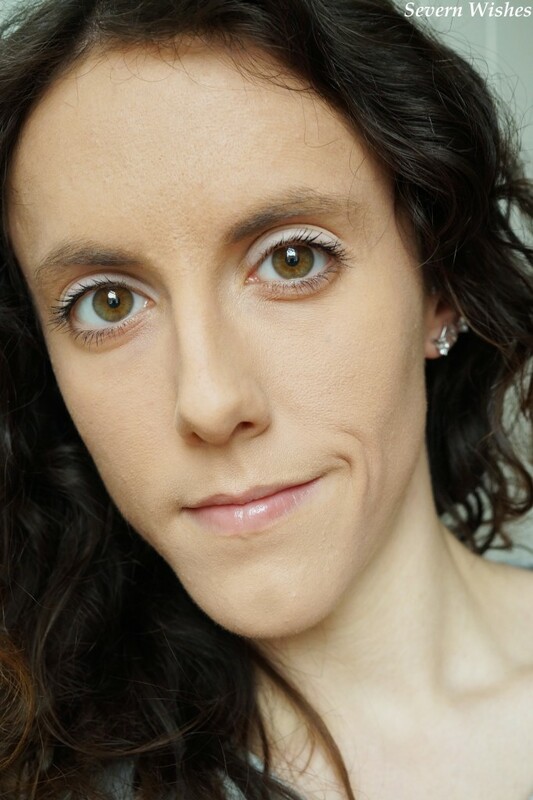 I’m a brunette and have hazel eyes, so the brown, gold and pink shades work perfectly with my complexion and eye colour. 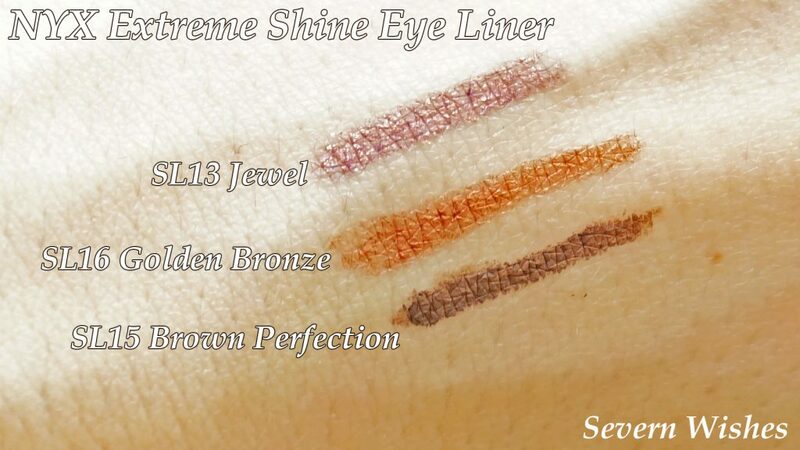 This eye shadow is good quality and are not expensive to buy. Unless I need a specific shade to match an outfit, I usually wear the range of colours in this palette. I can recommend both the brand and the size of these eye shadows, they last a good while and the palette is thin enough to pop into most decent sized make-up bags. Makeup Revolution London does a range of them, and they bring out new ones often too. I have being using Rimmel London eyeliners since I was a teenager. I find the quality to be good and they go far. Black is the colour that I normally use to make my eyes stand out more. Not as an everyday look but if I were going out on date night or out in the evening. I would create this look with the pencil and smoky eye shadow to compliment the outfit. This little bottle of concealer goes a long way and hides blemishes and dark circles in a matter of seconds. It blends well and I find it to be a staple piece to use when applying my make-up. 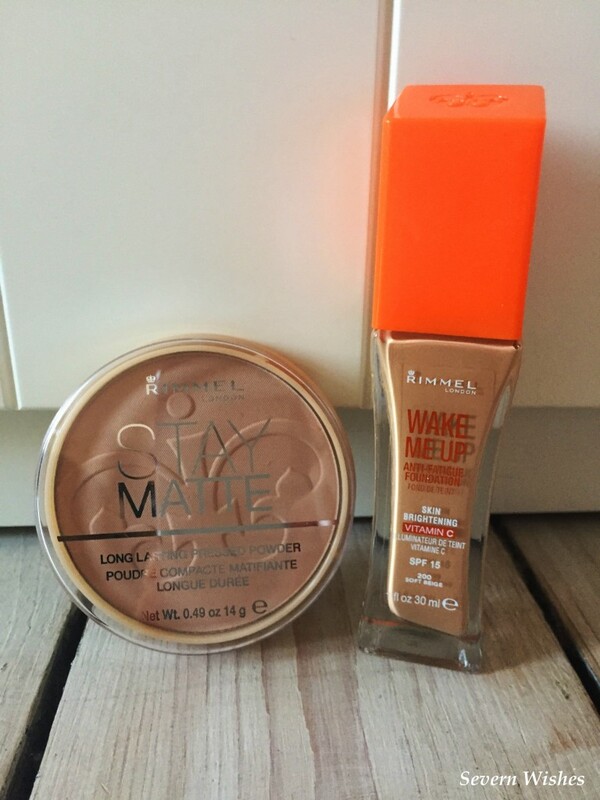 (I did a review of this and the foundation, see my beauty section). Another staple product that I always reach for is my Max Factor mascara. Not only do I normally wear waterproof to save myself looking like a panda after a long day at work, but I also choose this brand because of the items consistent good quality. I find that this mascara lasts me a long time, because you don’t need to apply a lot of it to get a nice result. This foundation is fantastic because it not only blends brilliantly, it covers so well. Dark circles and red patches disappear as you smooth this lightweight foundation over your skin. Now I’m not someone who uses a foundation every day, especially if I’m not leaving the house. And I have found that this one doesn’t make my pores feel clogged after using it. (See my individual review for more on this product). It is my current favourite to use when I am in need of applying an overall coverage to my face. This lightweight cream is perfect for a daily moisturiser and gives SPF15 protection to the skin. I use this every morning unless I’m planning a mask or a cleanse. This product works well for my skin, which can sometimes be sensitive, and allows me to use it in confidence. These are the smaller versions I have that go in my handbag and travel bag. My main creams are large tubs that live in the bathroom. It’s great that No7 have these products in a range of sizes, very convenient. I will be completely honest with you, I don’t always apply my night cream, and that is because I don’t like to overload my skin. Moisturising is very important, but you don’t want to make your skin oily because you mess with it too much. With my skin being sensitive, I normally only moisturise at night, two to four times a week. Normally on nights that I haven’t had to get a lot of make-up off my skin first. Would you believe me if I told you I had been using this product for ten years? Well I have been. I adore this powder, it’s not only quick and easy to apply, but it gives a nice coverage so if I have any breakouts or any red patches, they quickly get blended away. I use it most days, and it’s the one thing that I do apply to my skin after moisturising so that I have more colour in my skin tone. I use this wonderful water to remove dirt and makeup from my skin, and use it every day to generally clean any impurities off my face and neck. I haven’t tried any other Micellar water related brands because I’m so happy with Garnier, it suits my skin (because it is designed with sensitive in mind). I normally use Nivea face and hand creams in the colder months, because I can suffer from dry skin. While moisturising daily this is reduced to only a handful of days out of the season, and occurs especially if I have spent time outside in a cold biting wind. When I notice the start of any dry skin patches, I reach for this cream, and within a few days my skin is back to its normal behaviour and I am free to use my No7 products again. But Nivea is a brand that I trust, and I have used them since I was a teenager, for face and hand creams as well as body lotions. This little lip balm lives on my bedside table, and I put it on my lips every night to keep them soft. I use it all year around and I always have one in my handbag as well, for when I want to protect my lips but I don’t need any colour on them. I hope you have enjoyed reading about the products that I use. There are so many choices out there, and I think we all know when we have found a favourite, we tend to stick with it. Well I do anyway! I’ve been buying some of the same products for ten years, and I have no shame. The companies must be doing something right if we are all going back for more. 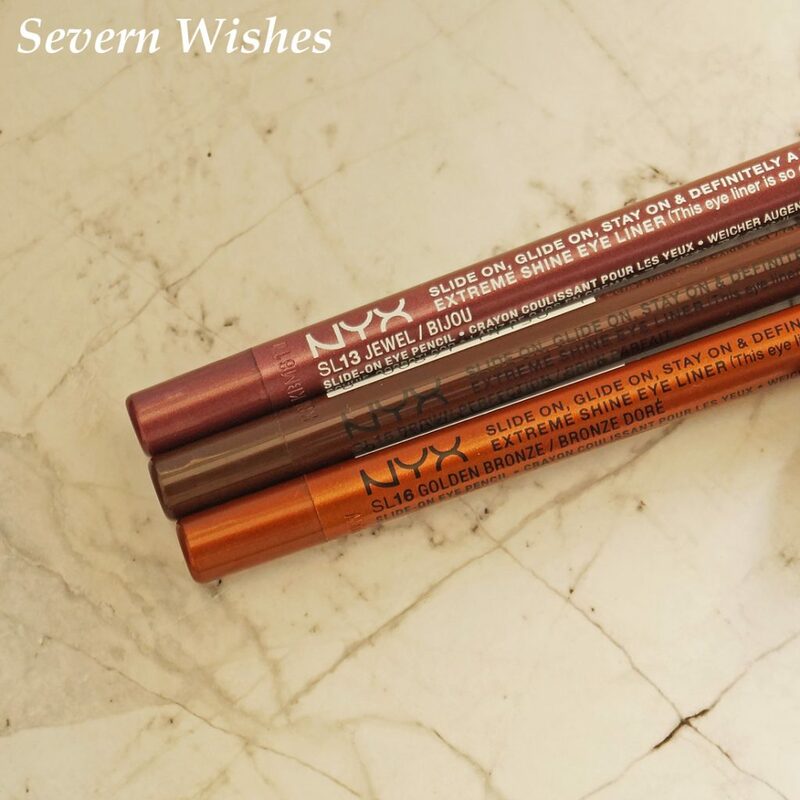 Deciding upon which two new mascara’s I was going to try out was tricky because I have seen some fantastic adverts lately. 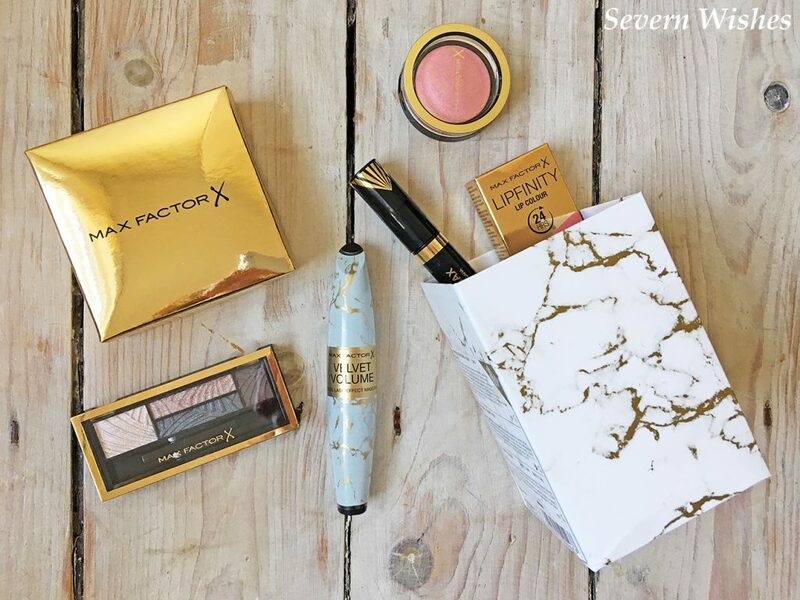 I wanted to give Max Factor a go because of the loyalty I have to them for the number of years I have purchased their products. So my first choice became their new Voluptuous False Lash Effect Mascara. This latest product sees a new style of brush which is meant to lift your lashes and add a dual application, all in a single stroke. The bristles are supposed to separate lashes while the fins grip them to add more volume. My second choice comes down to the fact that I use their foundation and other products on an almost daily basis. 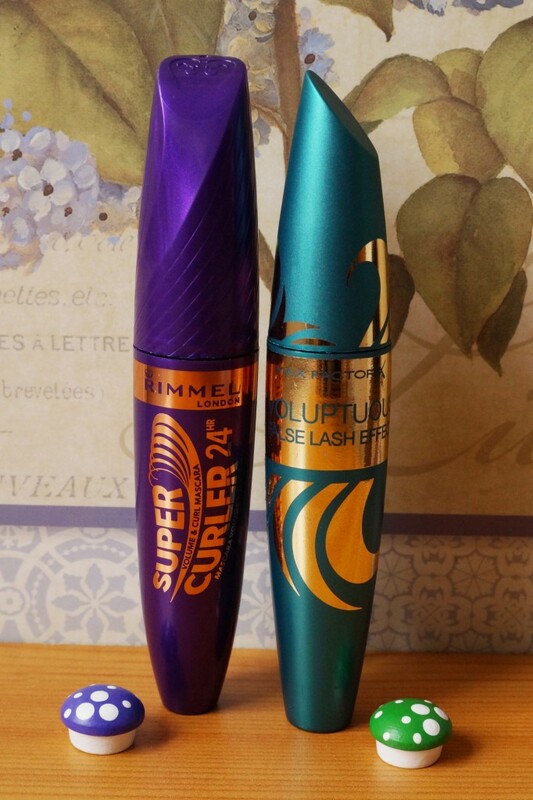 Rimmel London has recently released the Supercurler Mascara which not only claims to be 24 hour wear, but also builds dramatic curl with a unique brush. The eye-shaped brush of this mascara is a perfect shape for the eye which allows for mistake free application. It has a formula that pushes the lashes up into a curve that is meant to last the whole day. So here are my two mascara’s and also a picture of my lashes with no products on them (before I show you my ‘after applying’ them photographs) and both of them are the generic black colour. Max Factor Voluptuous False Lash Effect had a brush that certainly had enough product on to coat my lashes; I didn’t need to refill the applicator while I was combing it through my lashes. It was able to get across my lashes well, and then I used the end of the wand to get into the lashes in the corner. The overall look was good although I didn’t feel like it pulled my lashes up as much as the original False Lash Effect had done. As for wear, it has stayed on all day and is only just starting to flake (12 hours). Rimmel London’s Supercurler Mascara had the unique eye brush which was great to use, it really did fit into my lashes and pull them up gently. The brush coated well and lifted as I did this, getting right into the corners of my eye with ease. It didn’t coat my lashes as well as the Max Factor mascara had done, but the application itself was smooth and clump free due to the brushes design. It was much easier to apply and I found it to keep my lashes curled up all day (approximately 12 hours). I have labelled this next photograph so you can see which eye I have used which mascara on. As you look at my eyes the right has Max Factor on my lashes and the left eye has Rimmel London on my lashes. By comparing the two you can see that the Max Factor has coated my lashes better, they are darker and defined in a bolder manner, a tiny amount of clumps. The Rimmel London mascara has curled my lashes up high and achieved a curl throughout and they are also defined with no clumps. Overall I like both of these products for different reasons. If I wanted to go for a glamorous look I would use the Supercurler mascara because I believe it gives me a wider and brighter eyed look. However the Max Factor mascara gives me a darker lash and a bolder look, which can look great with a smoky eye shadow, when paired with a dark outfit. Here are my ratings for the main aspects of the products. Which mascara should you try? Well that is up to you, I’m just giving my opinion on two of the many great mascara’s available to us here in the UK. We are all different, and we all want different things from our make-up. I will definitely use both of these great products over the next few months, and then I will decide which I prefer to be an everyday item. I hope you have enjoyed seeing this comparison.